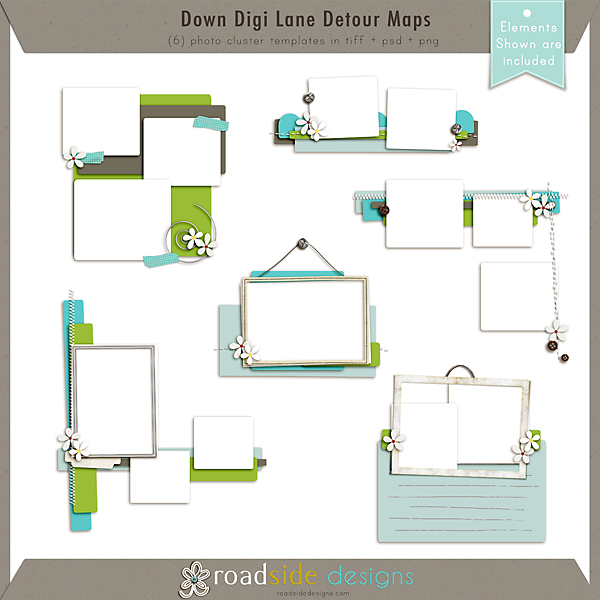 Down Digi Lane Detour Maps – These are super easy to use, just pick your own paper layers and add one or more of these clusters to complete your layout! 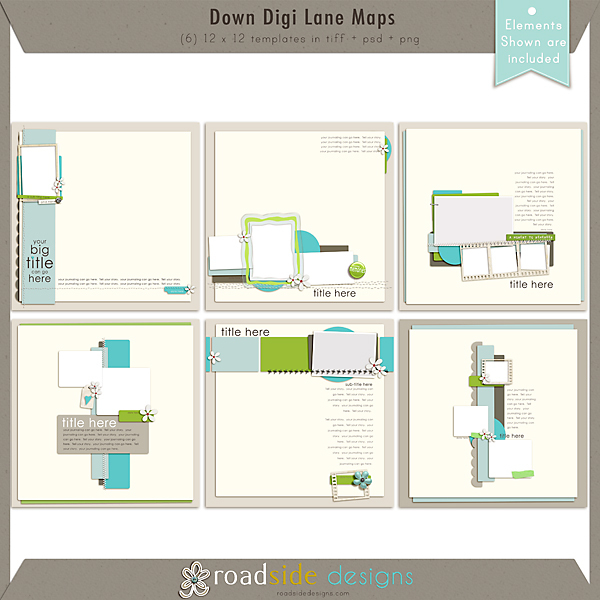 Down Digi Lane Maps in 12 x 12 – Great simple templates for the square scrapper. Can be reduced to 8 x 8 too! 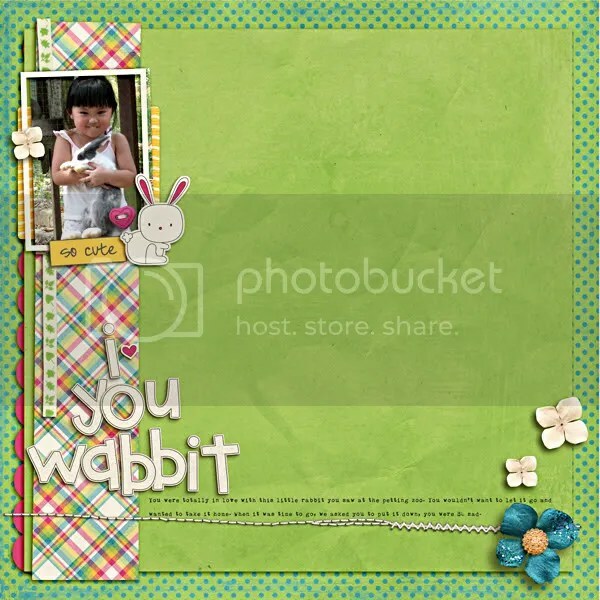 Down Didi Lane Maps in 8.5 x 11 – Great simple templates for the rectangular scrapper like ME!! 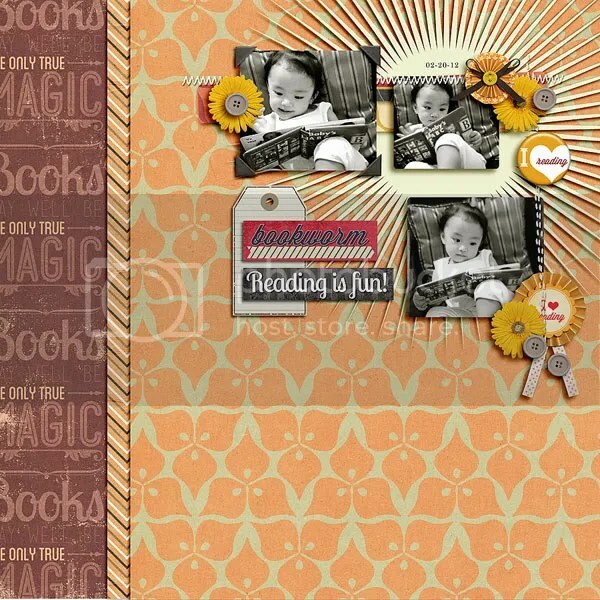 Here are some layouts for inspiration, created by the CatScrap team!